We have strategically placed all of our technicians throughout Barrie and surrounding areas so that there is always a technician in the area, ready to repair any malfunctions you are having! The Alex technicians provide same-day service and are available during evenings, on weekends and even on holidays! If you live in the Barrie area and are looking for a quick, hassle-free appliance repair service you should consider calling Alex Appliances. Is your fridge too warm, too cold, sweating or dripping pools of water? We’ve seen all this before – and more. With our multi-stocked repair vehicles and trained personnel, your fridge can be working properly again before the ice has time to melt! Call Alex Appliances today for fast and effective fridge repairs in Barrie Georgina East Gwillimbury Concord. Alex Appliances is ready to serve you all over Barrie for all your fridge repair needs. Life can be very difficult for any family without a fridge. This is why Alex Appliances carries lots of replacement fridge parts in our vans to ensure that your fridge can be good as new. Call Alex Appliances today for all fridge repairs! Is your clothes washer blowing bubbles, or not spinning as you would like? Alex Appliances Barrie technicians know all the diagnostic tricks in the book and come prepared with all the spare parts they need to make the repairs on the spot. If your washer is giving your problems and you are looking for same day service, call Alex Appliances today. Is your dryer nor turning? Or perhaps it leaves your clothes still damp? Our technicians will soon find out what is wrong and will have your dryer working again in the shortest possible time. We always arrive equipped with the most common replacement parts so will probably be able to carry out the repair in just one visit. Call Alex Appliances for all your Barrie dryer and other appliance repair needs. Does your dishwasher not drain? Or do the plates not get clean?We can diagnose what ails all makes of malfunctioning dishwashers and carry the spare parts with us that will get them back up and running in no time at all. For reliable Barrie dishwasher and other appliance repairs, call Alex Appliances today and enjoy our same day service. Does your stove not want to heat up or is it charcoaling your food? Don’t go hungry – call Alex Appliances today and we’ll send one of our team of Barrie technicians to carry out a same-day stove repair. We bring all the spare parts we need for the most common stove malfunctions so will probably be able to resolve your problem in just one visit. Call Alex Appliances today to set up your same day Barrie stove repair appointment. Is your roast chicken not roasting? Or the cheese on your gratin just won’t melt. Why not call Alex Barrie Appliance repair technicians to come and take a look. Our trained personnel are very familiar with all the main brands of oven and carry hundreds of replacement parts in their repair vehicles. So don’t put it off – call us today and ask about our same-day Barrie oven repair service. 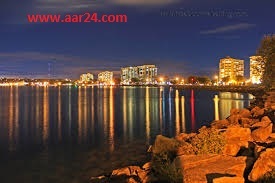 In 2011 census, the city’s population was originally reported as 135,711, making it the 34th largest in Canada. The city’s 2011 population was subsequently revised to 136,063. 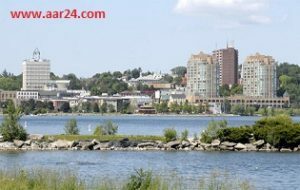 The Barrie census metropolitan area (CMA) had a population of 187,013 residents, making it the 21st largest CMA in Canada. On 7 September 1977, a private aircraft dropped altitude to 500 feet (150 m) in dense fog, struck the 1,000-foot (300 m) CKVR-TV tower, killing all five on the plane and destroying the tower and antenna. The station’s 225-foot (69 m) auxiliary tower was also destroyed and there was some damage to the main studio. CKVR were back on the air using a temporary 400-foot tower and reduced power of 40,000 watts at 8:55am on 19 September. The new 1,000-foot (300 m) tower was rebuilt in 1978. On 12–13 June 1987, a sculpture called Spirit Catcher by Ron Baird was moved to Barrie from Vancouver, British Columbia, where it had been exhibited as part of Expo ’86. The sculpture was erected permanently at the foot of Maple Avenue on the shore of Kempenfelt Bay. However, with the re-development along the waterfront/Lakeshore Drive, the city is considering moving the Spirit Catcher to the gravel outcropping at the foot of Bayfield Street. In January 2004, Barrie made international news when its city police raided the former Molson brewery, and found Canada’s largest illegal cannabis grow operation. Barrie’s Park Place (formerly Molson Park) was chosen to host Live 8 Canada on 2 July 2005. The success of the concert contributed to the resistance to a plan to convert the concert area to a commercial district. However, the stage, buildings and many of the trees on site have been destroyed since construction of the Park Place commercial district has begun. An explosion in the Royal Thai restaurant, housed in the landmark Wellington Hotel, at the historic Five Points intersection in Barrie’s downtown core occurred at 11:20 PM on 6 December 2007. The fire quickly spread to several neighbouring buildings. Firefighters battled the blaze well into the following morning, requiring assistance from other Simcoe County fire services. Officials estimate the damages to be in the millions. The Wellington Hotel building collapsed. It was over one hundred years old. On 17 February 2008, two people were charged in connection with the fire, after the Ontario Fire Marshal’s office concluded the explosion and fire were the result of arson.